Let’s face it, even the most common everyday tasks such as driving your car carry risks. Before you get into your car for the first time, you know there is a risk of being involved in an accident; however, you reduced your risk by passing a driving test and you can manage the ongoing risk by driving carefully and attentively. Likewise, as with any financial investment, risk is inherent, ready to take a bite at the most inopportune time. How and when risk is identified, how it is initially minimized and subsequently carefully managed throughout the project will be a major factor in the overall success of the investment and will likely determine whether or not it meets the investors' goals. Construction-related real estate investments still provide a good pathway for investors both large and small, experienced and inexperienced, to achieve financial gain and/or – in the EB-5 world – immigration status. However, it is beneficial for investors to have a comprehensive understanding of "Construction Risk Management 101" before they financially commit to a project. 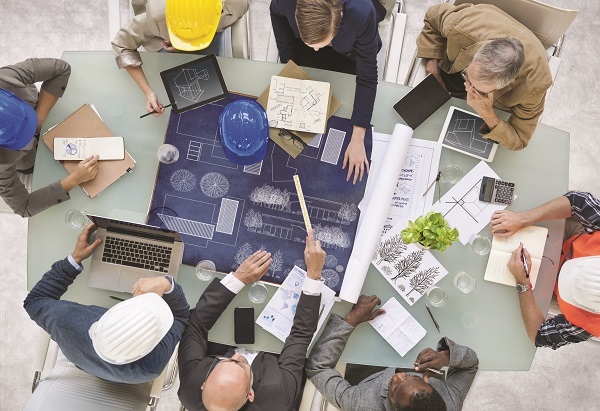 Although Construction Risk Management (CRM) can be both broad and technical, it can help educate investors on three simple risk factors: time, quality and cost. All three factors are interrelated, as we will highlight in the scenarios below; however, an understanding of each factor is initially required. The most basic CRM tool used to identify and manage time risk is a detailed construction schedule. EB-5 investments are somewhat unique when related to construction projects, as the EB-5 job count may benefit from longer construction durations. According to the June 17, 2009 USCIS Memorandum “EB-5 Entrepreneurs – Job Creation and Full Time Positions,” the EB-5 job count may include both direct and indirect construction jobs provided the construction timeline is 24 months or longer. Only indirect construction jobs can be counted if the construction timeline is less than 24 months. As a standalone risk factor, it is typically advantageous to complete a project in the shortest timeframe possible. Whether it be the additional revenue generation from the early completion of the project, like apartment rental income and hotel rooms to fill; eliminating the possibility of liquidated damages being incurred for finishing the project late, such as office leases that typically contain significant penalties for the developer if the tenant cannot take occupancy or start their tenant Improvements on time; or incurring additional loan interest costs, having the project completed on time or ahead of schedule is a goal of most developers. These items are in addition to the simple fact that the longer a project runs, the higher the chance of unforeseen circumstances, not envisaged at the onset of the project, coming into play. How many developers would have known in 2006 that implications of finishing their condominium project on time were millions in profit versus the likelihood of bankruptcy by finishing six months later? The most basic CRM tool used to identify and manage quality risk is a comprehensive quality control program. For construction projects, most people view quality as the level of finishes, such as quartz countertops in lieu of plastic laminate; however, in the CRM world, the focus is on the design and installation of systems and components that you would not typically see when a project is complete. The design of the structure, the strength of the concrete used in the foundations, and whether the design and installations pose any potential accessibility or water intrusion risks are just a few of the numerous items a CRM firm should focus on. A comprehensive quality control program is frequently overlooked or not deemed necessary as it is incorrectly assumed that the local municipality will identify all items during the inspection process. The most basic CRM tool used to identify and manage construction cost risk is an ongoing construction cost analysis/control process from project inception through completion. Quite simply, as development costs increase, return on investments (ROIs) decrease. Development costs include items such as the price paid for the land, financing costs, soft costs (design fees, legal costs and marketing) and hard costs (construction costs). Typically, construction costs will vary the most, especially throughout the construction phase, which is why CRM techniques are used to help minimize cost increases and maximize ROIs. Let's focus on the CRM Triangle and provide scenarios to highlight how time, quality and cost are interrelated. Of course, throughout the design process, the project delivery team, which often includes the general contractor, will strive to bring forward a project that can be built within a timeframe and budget and completed to a level of quality that will meet the developer's and investors' requirements. However, throughout the design and construction process, compromises often have to be reached as risk factors impact the project. Geotechnical and environmental investigations help identify what lies beneath the ground. Nevertheless, unearthing the remains of a 40,000-year old mammoth during deep excavations on a project might not be what the developer expects. All work must be temporarily suspended while archeological investigations take place. In this scenario, the developer has to prioritize the three risk factors. If completing the project on time and without compromise of quality is critical, the general contractor will have to accelerate the construction schedule with overtime and incentive payments, which causes increased cost. If cost and quality are important to the project delivery team, then theoretically time will be negatively impacted. If the project delivery team indicate that lost time can be recovered without cost impacts, then concerns should be raised that construction is being rushed or shortcuts taken, resulting in a negative impact on quality. In this scenario, quality of work should be closely monitored. The construction industry was hit hard during the 2007-2009 Great Recession. Skilled tradespeople were forced to find other industries and many have never returned, while people starting out on their career path never joined the industry. As such, the construction sector is currently being negatively impacted by skilled labor shortages. This in conjunction with other uncontrollable factors such as material availability following natural disasters, has increased construction costs significantly. If evaluated and identified during the design phase, the developer can make an informed decision as to whether to proceed with the project. However, when cost increases occur during the construction phase, the developer would again consult the CRM Triangle to evaluate their options. If a developer does not want to incur the cost of paying incentive bonuses for subcontractors to prioritize their projects and does not want to compromise on quality, then time will be impacted through an extended construction duration. If a subcontractor can provide an adequate number of workers on a project so as not to impact time, and without incurring cost increases, maybe the labor is less skilled and quality will likely be impacted. Utilizing these scenarios, you can appreciate how each of the three construction risk factors – time, quality and cost – are closely interrelated requiring prioritization of risk factors from the CRM Triangle throughout a project. Understanding the correct factors to prioritize and/or forgo will likely be a key component in the overall success of a project. Depending on the investors’ risk tolerance or trust level in the developer, a developer or investor should consider retaining a CRM firm to evaluate a given project. The CRM firm can identify and advise the developer or investor on how to minimize and manage potential construction risks. Criteria to consider when selecting a CRM firm include: CRM experience, project-specific type and geographic experience, reputation, in-house staff training programs, quality control protocols, number of years in business and quality of work product. Developers and investors are advised to choose carefully, as the effectiveness of the CRM process is only as good as the firm providing the services. Construction-related real estate investment opportunities present themselves at various stages of a project; however, the same principals of CRM apply: identify, minimize, manage. The CRM Triangle helps investors with little to no experience understand "Construction Risk Management 101." Darren A. Seary is an EB-5 Construction Risk Management consultant, a Fellow at the Royal Institution of Chartered Surveyors (FRICS) and the Western Director at Fulcrum, a construction and real estate intelligence and risk management firm.